The Brazilian ace revealed details about the futile contract negotiations with Orlando's hierarchy, leaving the door open for a comeback. The Major League Soccer will have to endure the loss of two of its best players, as Kaká will join Andrea Pirlo in leaving the league by the end of this year. Orlando City will take on Columbus Crew on Saturday August 19th. LiveSoccerTV.com provides all the info you need to tune in to Orlando City vs. Columbus Crew. Who's playing: Orlando City will take on Columbus Crew - but will have to make do without skipper and key player Kaka after his red card against New York Red Bulls last week. Orlando’s new forward Dom Dwyer will be the center of attention in this upcoming match. 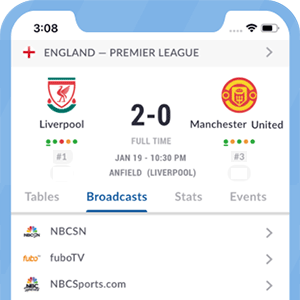 LiveSoccerTV provides all the information you need about this game. The Mexican striker had been named as a potential target for some North American sides, but negotiations were brought to a halt this week. Apparently, MLS fans will have to wait a bit longer to watch Chicharito scoring goals in North America, as the Mexican ace is not going to join the league this summer. Orlando City had to wait until the 90th minute to keep all the three points after an edgy but hard-fought win over LA Galaxy. Here is all you need to know about the 7th week of the 2017 Major League Soccer season. MLS matches resume this week with some interesting fixtures to look forward to. On Friday, Philadelphia Union take on NYCFC in a bottom vs mid table clash. Here's everything you need to look out for as the Major League Soccer enters the 6th week. The sixth round of the Major League Soccer kicks off this weekend with some exciting clashes. Top of the list of the LA Galaxy vs Montreal Impact fixture, which kicks off on Friday. Assists in US soccer have never looked this good before, thanks to the magic of the MLS. There were some moments of sheer class and brilliance in the third round of the MLS 2017. After taking a look at some of the best goals, skills and highlights that rocked the Stateside league, we now head straight into those filthy assists. Here is a compilation of some of the best moments captured on video in the just-concluded MLS week 3. The third round of the 2017 MLS was full of thrillers as it had promised. You could easily tell this judging from the fact that most of these teams had not yet registered their first win of the season. The third round of the new MLS season kicks off this weekend great fixtures to look forward to. There will be an action-packed weekend, especially on Saturday when two giants New York City FC and Montreal Impact clash. Some of the brightest players performing in the Major League Soccer represented their teams to avoid any form of discrimination. Let's just say Kaka is not one of the luckiest men in the MLS this season. Here's all the live broadcast information you need to watch the Orlando City vs NYCFC MLS match live on TV or online. MLS side Orlando City are set to launch their new stadium in style - and the fans are already armed with their tickets in hand. In the past few weeks, there have been rumored doing rounds in the MLS that Kaka could sign for a Mexican club. There have been several unforgettable attempts. Here are the best of the best. The latest trend in football, just as Ice-Bucket challenged swept the beautiful game, has been the Mannequin Challenge. Several teams have given the new craze a go, holding a statuesque pose in groups for a minute. Orlando City will take on New York Red Bulls at the Citrus Bowl on Friday, May 6th. Here are some live TV listinsg & online streaming options for Orlando City vs New York Red Bulls.